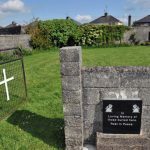 What Ireland has learned about the Tuam Mother and Baby Home, and how callously and disrespectfully babies and infants were treated in life and in death, seems almost impossible to comprehend. It is difficult to think about it but we must; particularly today, on International Women’s Day. What happened at Tuam was reflective of our society, of our state and the Catholic Church. It was able to happen because of attitudes that led to pregnant, usually poor, unmarried women being held in such homes, to being treated as shameful, and to their babies being seen as an embodiment of sin. We have been thinking about all of those children, women and families who suffered in the past, and those who today still carry pain as a result or their or their family members’ experiences. We hope that the unveiling of the secrecy around Tuam Mother and Baby Home can be the start of a real and true acknowledgment of their suffering. One Family was founded as Cherish in that time when pregnant unmarried women were ‘sent away’. Our founders were a small group of unmarried mothers who were raising their babies themselves in very difficult circumstances. Through finding and supporting each other, they founded an organisation that would go on to support many thousands of other women; women desperate for help because of the societal and structural attitudes that meant being pregnant and unmarried had cost them their family relationships, jobs and homes. These women were supported to keep and raise their babies. 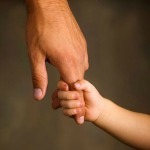 The organisation successfully campaigned to abolish the status of illegitimacy, and for the introduction of the Unmarried Mother’s Allowance, as the One Parent Family Payment was then called. 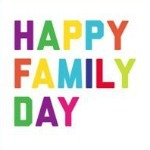 Today, one in four families in Ireland is a one-parent family. It is forty-five years since we were founded yet many of the parents we work with still experience stigma and shame simply because they parent alone. The reality is, and evidence shows, that what most affects a child’s future is not the form their family takes, but living in consistent poverty. Yet Ireland’s child poverty rates continue to rise, and one-parent family households continue to experience the most deprivation. Both poverty and judgement are dehumanising. 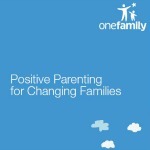 A one-parent family is not “the other”; if someone is poor, they are not “different”. It is time that Irish society truly learns from its past. Each of us must accept responsibility for how we think about and treat the people around us; our family members, our neighbours, the parent we see at the school gate every morning. We must all work to contribute to a future society where every family is equally cherished. Only then can we be proud of who we are. People parenting alone and their family members affected by the recent harrowing reports may wish to call One Family’s askonefamily helpline for support on 1890 66 22 12 / 01 662 9212.